For this event, participants engaged in a tempera painting workshop at the Rudolph Steiner High School followed by a dinner discussion at Isalita Restaurant. The following is a write-up of the experience by Med Ambassador Katie Wataha. This quote resonated not only with Vincent van Gogh, but also many of the medical students, house officers, and faculty who were able to attend the Steiner painting workshop. We were given the opportunity not only to summon our individual artistic capabilities, but also to learn about perspective and inspiration from our colleagues in a collaborative setting. 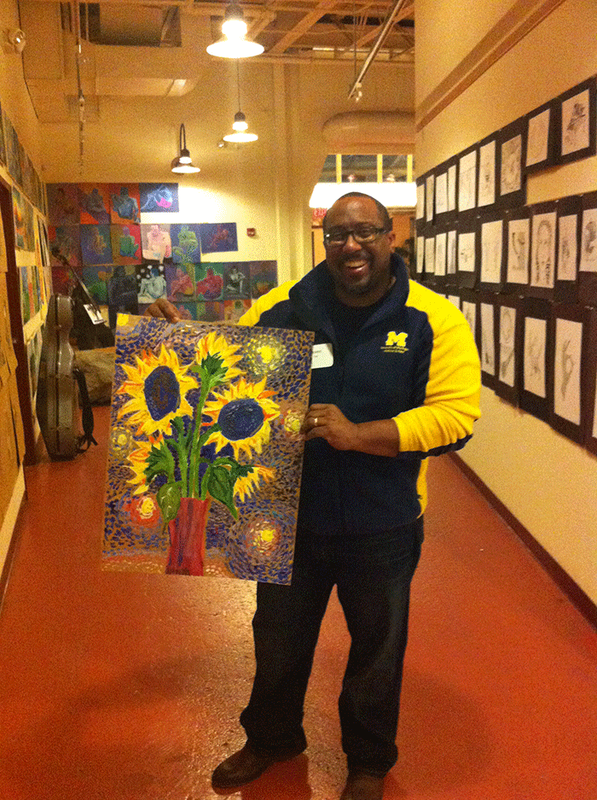 The goal of the workshop was to create a sunflower painting with a starry night background, which mirrored some of van Gogh’s greatest achievements. 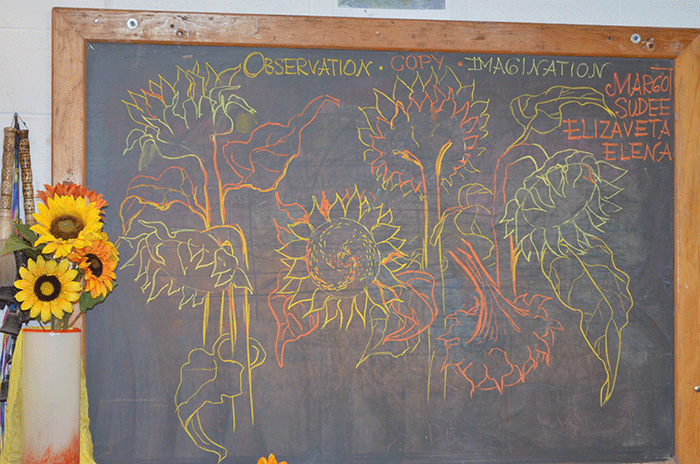 We spent the first fifteen minutes listening to our knowledgeable Steiner instructors talk to us about how to translate the image of a sunflower (sitting in a vase on our tables) onto a piece of parchment paper. They encouraged us to paint multiple flowers in unique arrangements from different angles. Although the basic outline of the painting was planned from the start, we learned to use the art of improvisation to fill in the details. Many of us found our paintings transforming throughout the process. For example, my completed painting was a completely different product than what I had initially envisioned. 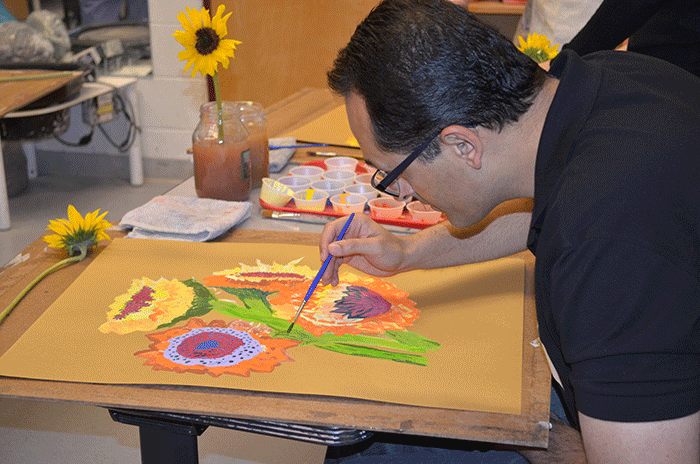 The two hours that we spent painting as a group gave us the opportunity to reflect, observe, and create. In medical school and I assume in the medical field, we spend so much time striving to be better and more perfect for our patients. But here, at the Steiner workshop, imperfections were celebrated. Our painting instructors continued to hold up our paintings throughout the workshop and share their strengths with other members of the group. We also enjoyed the chance to learn about Vincent van Gogh and the art history behind his work in a short 30-minute lecture.